In episode 123 astrologer Moses Siregar joins the show to talk about locational astrology, also known as astrolocality or relocational astrology, which is used to describe how people experience different places on Earth. Locational astrology is a relatively recent development in the astrological tradition, and during the course of the episode we talk about how it was developed in the 20th century and some of the different ways that Moses uses it with clients in order to help them find an optimal place to live. Introducing Moses, and talking a bit about his background. 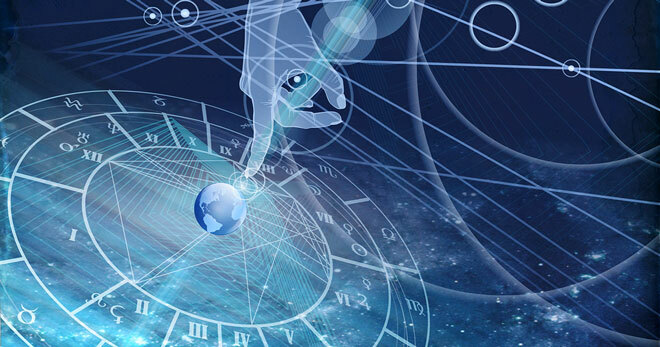 What is astrolocality or locational astrology? Used to find good places to live on Earth. The late astrologer Jim Lewis developed a unique approach to the topic. That name is actually trademarked. Lack of a standard about what to call some of this stuff. Astrolocality, locational astrology, relocational astrology, Astro*Carto*Graphy, etc. Zodiacal signs corresponded with nations in early tradition. Often in a mundane context. Cyril Fagan is credited with doing some early work on the subject in mid-20th century. Jim Lewis later popularized the practice and developed it further. Talking a bit about Lewis’ life and work. Living on a line versus near a line. Moses says living on a line is like turning the volume of a planet up to 11. A pristine planet in a natal chart is hard to find. Pros and cons of emphasizing certain planets in a chart. How much can location really change the basis of one’s nativity? Moving from solar return to solar return? If I wanted to move, I’d consult him for locational…but I’m too old to move now. If things change, I would consult him. I quite enjoyed the interview with Moses Siregar and thank you for linking to the Psychology of Astro*Carto*Graphy book by Jim Lewis with Kenneth Irving that we (Words and Things Press) published. This interview is very valuable and the subject of locational astrology is also so important. I think there are many who have carried the mantle forward and have added their own techniques. I did want to make a correction to say that even though Jim lived in San Francisco during the 1980s his actual cause of death in 1995 was not AIDS (many people thought he died from AIDS) but lung cancer that metastasized to his brain. I remember it well as a friend of his. His brother also died in his 50s from the same illness though we do not know if it was genetic in origin. But I agree. we lost him and many others too soon. Thanks for that important correction, I appreciate it. I think I got mixed up due to a previous conversation I had with someone about the loss of a number of prominent young queer astrologers due to the AIDS epidemic in the 80s and early 90s, and Jim’s name had come up in that context as being one of the bright leading lights who the community lost way too soon around that time. So, thanks for clarifying that, and my apologies for the mistake. I particularly enjoyed the call for open-mindedness from Moses concerning embracing different ways of doing astrology (Western/Vedic; Tropical/Sidereal zodiacs; Placidus/Whole sign houses, etc.). There are so many levels of consciousness and I agree with Moses that each approach offers something rich and valuable to the client. The personal examples that Chris shared were also insightful and helpful. The show had a good amount of factual information without losing sight of the human element. Great episode! So is it possible to do a natal chart for a place and run a composite or synergy with a natal for an individual and get good info or is it just a matter of relocating the birth to the new location? I strongly believe we have a sense of place and feel better some places than others. I appreciate the fact that Moses pointed out that to a certain extent “Wherever you go there you are”, you have Moon conjunct Mars natally is that anywhere etc, The idea however, of playing to our strength or best vibration for a specific time in our life is something I would very much like to explore. Some places you are there to work, some to play, some to just be at peace etc. Thank you so much for this podcast – very informative. Thanks for the informative interview. In thinking about the idea of mapping astrological charts on a map of the earth, it occurred to me that this idea has been in the literature for a very long time. Certainly mundane astrologers have long associated signs with certain countries and considered the actual path of an eclipse to be important when interpreting the manifestations of a particular solar eclipse. In Christian Astrology (1647) Lilly answers a horary question about “what part of the world the querent might best apply himself to live in” (CA, p. 137). Lilly answers the question using the local space directions of the houses and the directions associated with the signs of the zodiac. The querent has Leo rising with the Sun quite dignified in Aries near the 9th cusp, so Lilly essentially advises the querent to follow his local space Sun line, as we might say in modern terminology and not the jargon of Lilly’s time. In addition, in horary astrology we routinely map the chart onto the surface of the earth to locate lost objects or missing people. L. Edward Johndro, who died in 1951, proposed a system of geodetic maps based on adjusting 0 degrees Greenwich for precession of the equinoxes. In 1929 he published a book book The Stars, How and Where They Influence. Johndro was influenced by the British astrologer Sepharial who in 1883 proposed a geodetic map in which 0 degrees Greenwich was equated with 0 degrees Aries but without accounting for precession. I think Johndro eventually came to believe that Sepharial’s system gave better results. This idea of mapping esoteric influences onto the surface of the earth was popular in late 19th century England and I believe that it was espoused by the Golden Dawn, which tried to unite the various occult disciplines into a unified theory. Aleister Crowley, who died in 1947, was a graduate of the Golden Dawn and a skillful astrologer. Crowley associated the tarot cards with various zodiac signs and planets and, in particular, he mapped the four Pages (Princesses) of the tarot onto the four quarters of the earth beginning with the meridian through the pyramids of Giza. So this idea of mapping charts or esoteric factors onto the earth’s surface is not new but has been refined and much further developed in the late 20th century. I am wondering what Parins (not sure of the spelling) are? How do I find more information on them? Thanks for the brilliant discussion. The term that is usually used in modern discussions is “parans”, which is short for the Greek term “paranatellonta”. Some further thoughts about the origins of locational astrology. This week I was reading about the foundation of Baghdad and noticed that Ibrahim Allawi in his 1988 article “Some Evolutionary and Cosmological Aspects to Early Islamic Town Planning” essentially says that locational astrology played a major role in the founding of Baghdad in the year 762 CE. Allawi notes that the Ascendant of the Baghdad horoscope was chosen to coincide with the celestial longitude of the construction site as measured from the mythical city of Kandakas in Eastern China, which was taken as the 0 Meridian, much as we use the Greenwich Meridian today. In addition, the 6 Sagittarius Ascendant was chosen because “the distance between the ‘face’ of Baghdad and the azimuth of Mecca” (the holy city of Islam) equals the distance from the Sun at 8 Leo to the Ascendant a 6 Sagittarius of the Baghdad horoscope. Thus, there appears to be evidence that astrologers were mapping horoscope charts onto the geographical surface of the earth at least as far back as the 8th century CE. Fantastic! I need to learn more about this. BUT What if all your lines are in places impossible to live? What is your Saturn IC line runs all up and down the east coast? What if I can not move away from it? What if your partners good place is terrible for you? Also when looking at Astrocartography RELOCATED chart, the lines are totally different than the chart cast for the birthplace??? Makes no sense. What if all your good lines are in Timbuktu? What if Venus midheaven line runs through Somalia?? This makes no sense, how do you expect everyone to have a Jupiter sun or Venus in the perfect place to live and work??? How do I get a job and raise a family in New Guinea? I really want to know! Great Podcast. Moses really knows his trade well and I like that he also considers Geodetics. I generally consider the Vedic chart more related to past lives and those qualities that we already know, while the Tropical chart shows those qualities that we want to develop in this life. With that in mind, I would approach the topic of Geodetics to resolve the potential conflicts between Tropical and Sidereal. However, replying to Beth’s comments, there was one factor, I was missing in that discussion. This is the influence of the birth chart (incorporation chart) of the country, state and city that you live in. Most important is naturally the chart of the country. As soon as you cross the border, you start an invisible relationship with the country that you are in. Consider the country you live in, like a permanent relationship, so you have to look at the synastry. Of course, some countries have a better chart for success and work, so for many people the USA is the most desirable country to live in, because of its birth chart (July 4, 1776) . Next comes the state within the USA (like Florida or California), and last comes the city. San Francisco has a well published chart (April 15, 1850), other cities also do. You can find the incorporation dates on wikipedia.